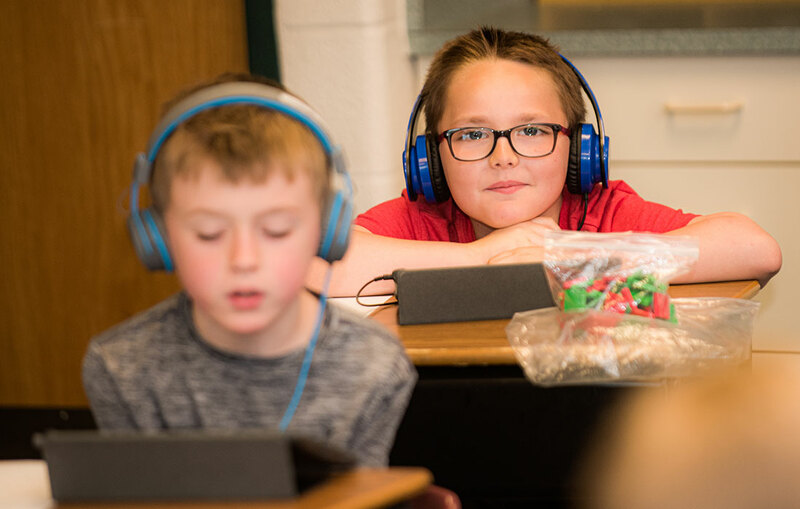 With an outstanding teaching faculty, Holland Christian Schools has gained a reputation for educational excellence and for innovation and creativity both in and outside of the classroom. Leading test scores and the pursuit of best practices by our remarkable staff of professional educators have proven that to be the case year after year. But we also know that education today is so much more than what goes on in our classrooms, science labs, art rooms, and gymnasiums. We continue to equip minds and nurture hearts on the playgrounds and athletic fields, through service trips and Bible studies, music rehearsals and marching bands, out of the relationships built between teachers and students, friends and colleagues, coaches and athletes. We strive daily to bring our 1,700 students preschool-12th grade to a greater sense of awe and gratitude for the amazing world that He has called us to care for and serve. We like to think of ourselves as a learning lab with a history since 1901, rejoicing in our calling to well-equip our students to transform our world for Jesus Christ, deeply rooted in His grace and love. To best prepare your child for God’s world, we follow a thoughtfully sequenced curriculum from one grade level to the next. Some students need additional resources to thrive, so education at Holland Christian is not a one-size-fits-all experience. It is a privilege at Holland Christian Schools to partner with parents and churches to encourage the unique faith development of each student. Technology is a critical part of the learning experience and curriculum delivery at Holland Christian Schools.